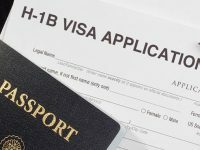 Home › Immigration • Work Visas › L-1 Visa Vs. EB-5 Visa: Which One Suits You Best? B-5) and the transferee immigrant visa (L-1). Even though both visa categories allow foreign nationals to legally work in the United States, they are completely different processes. In fact, they are quite different in terms of requirements, conditions, and purposes. 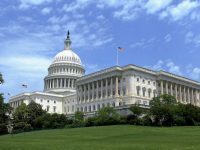 What Exactly is the L-1 Visa? The L-1 visa facilitates the temporary transfer of managers, executives or specialized knowledge employees to the U.S. to work with an office of the same employer, its parent, branch subsidiary or affiliate. The L-1 visa is best known as the intracompany transferee. Generally, this visa is granted for a period of one year. The L-1 worker must have been employed for at least one year by the affiliate, subsidiary, branch or parent entity abroad. The job offered in the U.S. must be in an executive or managerial capacity. Visa applicants and accompanying family members must be admissible to the United States. Don’t require a large investment of money. Can live in the United States and work legally in the U.S.
Can bring their spouses and children under 21 years. Their children can attend school and your spouse may apply for work authorization. Their receiving company in the U.S. can be an existing company or a new one. During your L1 stay, they can travel within and outside the United States and then re-enter the country. There’s no annual cap on L1 visas granted. Don’t require any specific educational degree. Must provide evidence of specialized knowledge that is not easily acquired outside of employment with your company or organization. Must provide bank statements showing salary deposits, a detailed description of your position abroad, letters of support and alike to show one year of employment abroad. Only companies that are multinational, or having a foreign presence, may file L-1 visas. What Exactly is the EB-5 Visa? The EB-5 program provides foreign investors with the opportunity to obtain a green card in exchange for investing $500,000 to $1 million in a U.S. business venture. The EB-5 visa may be a great alternative if your goal is to obtain a green card. Invest either $500,000 or $1 million in creating a new U.S. business, depending on which project you invest in. Prove the source of the funds is legitimate. Create a minimum of ten permanent full-time jobs for qualified United States workers for at least two years. You and your immediate family members must be admissible to the United States. Their immediate family members must be eligible for becoming green card holders. Their children are free to work or to attend the school of their choice and take advantage of grants and in-state tuition rates. Can enjoy the benefits of permanent residence in the U.S.
Must be eligible to become U.S. citizens within five years. Don’t require sponsorship from either a family member or an employer. Do not need to be responsible for the daily management of the investment. Don’t need to speak English, have relevant business experience, or any minimum educational requirement. They are allowed to travel outside of the United States and return without a special permission. There’s an annual quota for granting investment visas in the U.S.: up to 10,000 visas may be authorized each fiscal year for eligible entrepreneurs. The investment is subject to risk. In addition, there are administrative fees, legal fees, and other expenses above and beyond the required investment amount. Since September 2014, the EB-5 visas are unavailable for Chinese nationals because a great percentage of investors are from China. If you are unsure of which type of visa is right for you or you need any further information, we recommend you contact an expert in immigration law. With our expertise, we can maximize your chances of achieving a successful outcome. Decide whether you should apply for the EB-5 visa or L-1 visa by talking to one of our experienced lawyers who can guide you through the entire process. Please feel free to contact us and schedule a personalized and confidential consultation to help you choose the right visa category for your case. Call us at (718) 924-2896 or use any of the contact forms on our website.